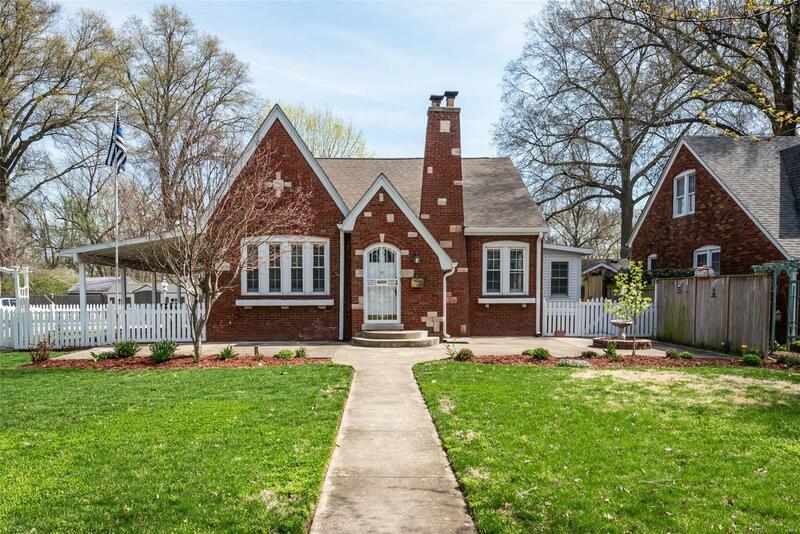 Charming gingerbread beauty with 3 bdrms, a den, sun-room and a breakfast nook. Newly remodeled Signature Kitchen with stainless appliances, grant counter tops, farmhouse sink, island and an abundance of cabinetry. Living room has beautiful floors, fireplace & window shutters that add to the charm. There are 2 bedrooms plus a den, sun room and a charming break fast nook on the first floor. The 2nd floor has a loft, large master bedroom and a master bath with a large walk-in closet. Stunning landscaping including a private garden area behind the sun porch, numerous bird houses, paths and walkways, an arbor and perennials that come to life in the spring. 40' covered patio in the fenced back yard makes a wonderful outdoor entertaining space. New shed in 2016 and extra off street parking at the back of the double lot.